Excellent penetrating qualities and good spread ability on the skin, making it ideal as a massage oil. Adds moisturizing attributes. Excellent substitute for petroleum based oils. Does not clog pores. All Natural. Expeller Pressed. COMMENTS: I use this oil in almost everything. This is a really good quality oil for a great price. COMMENTS: I love adding this to my soaps! COMMENTS: Nice, light oil - excellent carrier oil. Blends well. COMMENTS: One of my favorite carrier oil for making Lip Balms and Lotions. "Affordable & Good Quality "
COMMENTS: Affordable & good quality normally doesn't go hand in hand. This is definitely a steal. COMMENTS: The best quality and price for this oil in cp soap. Can't do without it. Nice consistency too. "Love this oil in lotions"
"Sweet Almond Oil is a great staple oil"
COMMENTS: Everyone who crafts beauty and body items should have sweet almond oil in their arsenal, it is the best multitasker. There seems to be no quality issues in this brand. COMMENTS: Works well in my CP soaps and lip balms. COMMENTS: Sweet almond oil is a must have in making body products!! There isn't a product I make without it. WSP has the best I've purchased so far and the price is good. • I would love it on sale more!! COMMENTS: Works great all around! "Great oil for price "
COMMENTS: Don’t buy this anywhere else. The quality and color is like no one else. COMMENTS: Love this addition to my lotion. Will purchase again! "Sweet Almond Oil - Refined "
COMMENTS: Great to use in bath fizzies intended for people wth dry skin. Extremely moisturizing and softening. Love the golden hue. Will be ordering more. COMMENTS: This oil works nicely in my goat milk lotions. It absorbs readily and does not leave a greasy feeling. At the same time, it is ultra moisturizing. "Luxury at a low cost"
COMMENTS: This oil will give soaps and lotions a silky, luxurious feel while still being in a modest price range. I add a small amount to goat's milk lotion, CP soap, and shampoo bars. I haven't ever noticed a color or smell coming through in my products, so it's a nice neutral choice. Just make sure that your customers aren't allergic to nuts; I've had a number of requests to leave it out. COMMENTS: I use this oil mainly in my lotion bar recipe. Leaves a very nice feel. COMMENTS: The only thing is. It looked like it was missing an oz. Other than that it's great! COMMENTS: Best price point for this oil. Love that all my bottles are dated and sealed. Can’t go without this amazing oil when formulating! COMMENTS: Shipped fast, arrived as expected. Thanks again wsp! COMMENTS: I love the packaging and quality of this product. Totally scent free and perfect for every product that I make! 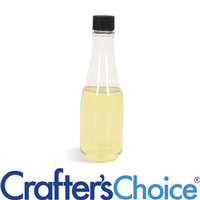 "Great value in Almond Oil"
COMMENTS: Wonderful almond oil for cold process soaps and lotions. COMMENTS: Excellent carrier oil. Uses are endless. I use this in my massage oils. A super product! COMMENTS: Great price and makes for a very nice soap! Love the price! COMMENTS: We love this sweet almond oil. It adds awesome properties to our soaps and lotions. Great quality and price. COMMENTS: I rely on this almond oil for body creams and as a part of my lip balm base. It has always been excellent quality. COMMENTS: The price for this oil is really great and I love the free shipping! This is one of the best resources for sweet almond oil I've found, the quality is excellent and the price can't be beat! COMMENTS: really like there oil and the container it comes in. COMMENTS: This is an amazing oil in CP soap, it helps give soap a luxurious lather. I also used it in a massage oil with MCT and it gave a durable amazing slip that lasted and wasn't greasy feeling. COMMENTS: I use this in CP soap and it works well! I haven't had any issues with quality or performance at all. Very pleased! "I love this Sweet Almond Oil!" COMMENTS: It is a must-have when I make my bath bombs. I love how light this oil is. COMMENTS: Always works great in my CP soaps. COMMENTS: I use this in multiple products! It works great! COMMENTS: I enjoy adding the Almond oil to my Cold process soaps. Makes my soaps softer on the skin. I get a lot of compliments when I add to my soaps. Good ingredient! COMMENTS: I used this as one of my products in hair oil. This was a great product. Worked just the way i wanted it to. I will buy again. COMMENTS: I love this oil and the price is great! I have shopped around and not been able to find it cheaper anywhere else. Performs wonderfully in all of the products I use it in! COMMENTS: Great price, will be purchasing more. COMMENTS: Very nice feel, adds quality to my lotions and products. COMMENTS: Sweet Almond Oil is a must for all my soap creations. I love the versatility of the oil. Lotions and cold process soap making is what I use it in. There is nothing I would change about this oil. "Works well on cold process soap"
COMMENTS: I had a good experience using this oil as part of my recipe for cold process soap. COMMENTS: Blends well with other oils. Only kind I use. COMMENTS: Wonderful oil. The quality is great and it works very well in my hot process soap. Will definitely be buying more. COMMENTS: I love this oil, has so many benefits. Works great in body oils. COMMENTS: One of my favorite oils to use in bath fizzies. Amazing price from WSP and easy to pour container. Love it. COMMENTS: Product was exactly as described and for an amazing price. Always know you will be getting good quality products whenever purchasing from WSP and at greatly affordable prices. Thank you. "Best Sweet Almond Oil I've tried." COMMENTS: I've tried several different Sweet Almond Oils in my products,and this is by far the best. Great quality fo the price. I use in my lotion, beard care items and cuticle oils. COMMENTS: I love using this in my bath bombs and sometimes I add it to melt and pour soap as a carrier for mica. "Use this to mix all of my colors"
COMMENTS: Great quality, great addition to anything. I use it in a lot of products. COMMENTS: I have used this in my CP, HP & lotion bars. I know this is making a better soap bar and adds softness to the skin in my lotion bars. It is light and easy to work with too. Great for mixing with micas and superfatting. COMMENTS: I only put a little bit in my soaps, but it’s a very nice oil to add to your recipe. I will buy more once I am in need. COMMENTS: This oil is great! I use it in lip balm, and it feels so soft and smooth. "The best, cost-efficient oil for my products!" COMMENTS: I use a lot of this oil. Very good quality. Will continue to purchase. COMMENTS: Love using this oil, great price! COMMENTS: I always get my almond oil from WSP. I use it in several of my homemade goodies. COMMENTS: This really is one of my favorite oils. It is so conditioning and versatile. I reach for this oil for almost everything. COMMENTS: This is great oil and a great price. COMMENTS: I use this as a base for all of my massage oils. It’s silky and nourishing for the skin. Can’t beat the price with free shipping! COMMENTS: Once again, another great quality product from WSP and affordable as well. Makes awesome CP soap and so much more. COMMENTS: This oil works well when combined in a sugar scrub. I have also used this oil in cold process soap. I will definitely continue to use this almond oil from WSP. Great product! COMMENTS: It is a nice, absorbent oil. It is moisturizing, yet not greasy. I highly recommend using in lotions. COMMENTS: This almond oil works well in Cold Process soap. I've used it for many batches. Good quality. COMMENTS: One of the lightest oils I have found. Great in bath bombs as long as the user doesn't have a nut allergy. COMMENTS: Love the moisturizing after feel. COMMENTS: This works well in my soaps! COMMENTS: I use sweet almond oil mainly in my lip balm. People LOVE my lip balms and I attribute it to this oil. Always on my shelf. COMMENTS: I use this in a lot of my products and love the wonderful properties it adds!! COMMENTS: Great product. It soaks into the skin very well. Can use with Fragrance, or plain. "Best Deal on Sweet Almond Oil"
COMMENTS: This is the only place I buy Sweet Almond Oil from! COMMENTS: I use this to make bath bombs and it really makes the skin soft and smooth. Our customers love the way it makes their skin feel after taking a bath. Really good oil! COMMENTS: I bought this for a lip balm I made. It worked great. I will happily buy it again. COMMENTS: This sweet almond oil along with some others are my staple ingredients. They bring so much benefit to my products and especially to my body butters. I cannot do without this and other base oils. It makes the skin feel so soft and moisturized. Customers are always happy with the results and become return customers. I wish that there was an unrefined version though so there can be some almond smell to it though. It think that would be more benefits with unrefined. COMMENTS: Nice carrier oil. Easily absorbs into the skin. COMMENTS: I love this oil. I use it in my MP soaps as well as my sons hair. My customers love the soaps that include this almond oil. Thanks WSP for the great quality! COMMENTS: Love the way this lotion feels!! Not too thick, not too thin. Glides on perfect and no heavy greasy after-feel! My new favorite by far! COMMENTS: love the oil, but have to be careful about family members who are deathly allergic to nuts...great product for others. COMMENTS: This is a great oil, I love it in creams and lotions. COMMENTS: Love this light oil! I use it in everything! COMMENTS: I love sweet almond oil. It's one of my favorite oils. This particular oil is really great. I will keep buying it. COMMENTS: LOVE THIS OIL.IT HAS A SMOOTH NICE FEEL ON SKIN.GREAT IN MY SCRUBS. COMMENTS: I find this to be a very good quality almond oil. I use it in my lotion recipe and it performs great. I highly recommend it. I will always be reordering. "Perfect in Bath Bombs "
COMMENTS: I always use it for bath bombs. Customers love it. COMMENTS: Love it!! I use this in my massage oils and it is a lovely feel. Of course I try some or should I say all of my products to make sure they hold up to their excellence and this and a few other oils I have purchased works wonders. COMMENTS: I used the oil for Massages and everyone loved it.. COMMENTS: I use this to mix my micas for soaping and great in my body butters. COMMENTS: This is a staple in my cabinet. I use it in everything! A great product at a great price! COMMENTS: I use sweet almond oil in many different products. I like the silky feel on my skin without leaving an oil slick. FO and EO and colors combine easily in swa. COMMENTS: Easier to use and works better. COMMENTS: This is a good Oil for use in my CP soaps. I also use it in sugar scrubs sometimes. It performs well in both products. It's one of those oils that I always want to have on hand. The price is good as well. Will continue to order. COMMENTS: Works well in whipped body butter. "Great in MP soap and Facial Products"
COMMENTS: I love this in the beard oil. I use this on many of my MP soaps and it gives just enough added moisture. I use it in my scrubs and love it too!
" 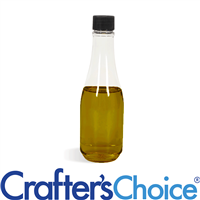 Sweet Almond Oil - Refined"
COMMENTS: I like to use this for bath bombs, it's not too heavy. COMMENTS: Great for use on oily skin. Absorbs well. Leaves no greasy feel. "my newest all time favorite, "
COMMENTS: this is the oil I always fall back to for my replacement oil. great in all lip balms. • perfict all over oil. COMMENTS: Amazing quality at an awesome price. I have used this in many product and I'm always super happy with the end result. COMMENTS: Sweet Almond Oil is a wonderful carrier oil. It is very moisturizing and absorbs into skin well. We use it in balms, creams, and soap. COMMENTS: Love, love, love. Need I say more? This sweet almond oil absorbs quickly into the skin with no oily result and feels velvety smooth. No odor. Used in whipped soap with fabulous results. COMMENTS: I love this stuff as an additive in my melt & pour solid sugar scrubs! It's light, easy to use, and goes into the skin quickly with out being greasy. Leaves skin soft! I love it so much that I now use it on my face all by itself! COMMENTS: This is a fantastic product and the best I have used so far!! It worked great for what I needed in making the balms. "Crafters Choice™ Sweet Almond Oil - Refined "
COMMENTS: I used to make infusions and they turned out BEAUTIFUL. COMMENTS: Love using this in my CP soap- sweet almond is one of my favorite oils. COMMENTS: Really goog product, you won't be disappointed. • Label bleeds if oil drips on it. COMMENTS: I used this in my Shower Gels, Cold Process Soaps, Body Creams and Lotions. I love the smoothness it gives to your products. Sweet Almond Oil is one of my favorite products. COMMENTS: Used oil for my Goats milk Lotion. Very easy to work with. Very nice, really like the product. COMMENTS: I really like using this oil in my products, specifically body butters. It is rich and thick in consistency. I also personally use this oil directly on my skin and hair and it gives a great shine. The refined version has no scent that I can detect. COMMENTS: Great quality oil. Love using in my formulations. "Love the product and the price"
COMMENTS: Good quality, great product. COMMENTS: Another great quality oil that can be used in so many products. I wish you offered certified organic oils though. That said, this is wonderful quality. COMMENTS: Fast penetrating & silky oil. Great! COMMENTS: A must have for all of my skin loving products. This is a high quality oil for a great price. I will be purchasing more, thank you WSP! COMMENTS: Sweet almond oil is our go to for fragrance and bath bombs. It works so well for almost everything. COMMENTS: This oil works great in CP soap, plus whipped body butters. I have not had any problems with this oil ever. COMMENTS: This nice, light oil works wonderfully in my cold process soaps and bath fizzies. Feels wonderful on the skin! COMMENTS: I always put Sweet Almond Oil in most of my products... I freak out if I reach for it and I'm running low.. COMMENTS: It's hard to go wrong with the sweet almond oil. The price is more than fair (especially if you qualify for free shipping), and it's a good quality, all purpose oil. I've used it in lotions, soaps, bath bombs, face oils. Pretty much anything and everything. And with such a light scent, it really infuses beautifully. Let it steep with a blend of spices, some alkanet and hibiscus, and you have a stunning "mulled wine" massage oil- FO not required! COMMENTS: I'm relatively new to all this but I love the soaps that I have used this in, more bubbles! COMMENTS: I bought this oil for a sugar scrub that i was trying at home. Oil came in a bottle and it worked great!! Have used it more than once and will continue to keep using it! !